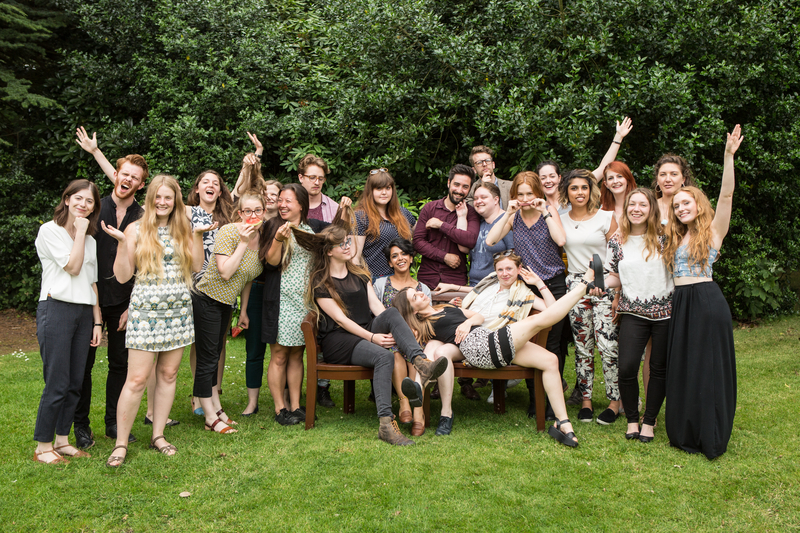 Six years since we launched our Professional Fellowship Programme, we're thrilled to announce a new cohort of 10 fellows for 2019, made possible thanks to ongoing funding from Arts Council England. Since its launch, the programme has successfully supported 65 arts professionals to become confident, skilled and entrepreneurial fundraisers. 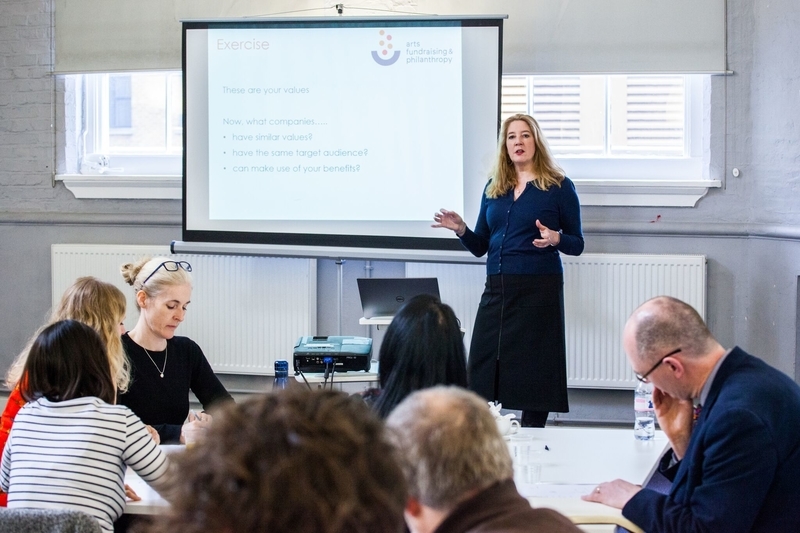 Since its inception, the programme has developed a thriving alumni network and has helped to raise over £2 million worth of new income for organisations as well as tangibly influencing the ways that organisations fundraise. This year's intake are from a variety of posts in senior management, programming, events and development in arts and cultural organisations nationwide. As part of the fellowship, participants will benefit from a flexible 12-month training programme that fits round their current employment. 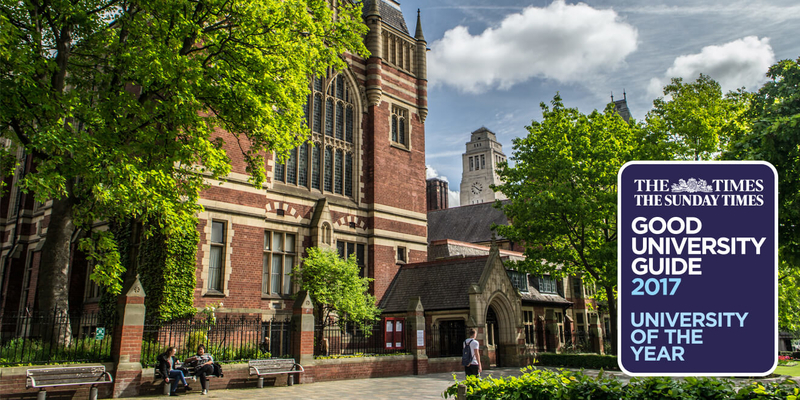 Receiving expert one-to-one mentorship, and access to a range of resources and networks to support their learning, each will receive a Postgraduate Certificate in Arts Fundraising and Philanthropy accredited by the University of Leeds upon successful completion of the programme. Hannah is the Programme Manager at East Street Arts and is responsible for the public facing work of the organisation. Hannah has worked in a variety of programming, curatorial and arts-related outreach roles at organisations including Tate and King’s College London and is excited to use her experience on the fellowship to inform the development of the East Street Arts Programme. She is particularly interested in art outside of the traditional gallery environment and the social and civic role of art in society. Her favourite artists include Miranda July, JR and Assemble. Tom has experience working in fundraising roles both in the arts and education sectors and has recently taken up the role of Fundraising Manager at Lighthouse in Poole. As the sole fundraiser at Lighthouse, Tom is responsible for individual giving, corporate partnerships and income from trusts and foundations. Tom started his fundraising career as a Trainee at Sheffield Theatres, and has also worked in development teams at Northern Ballet, Cambridge University and Cambridge Live. In addition to this, he has also been a Trustee at Babylon Arts. Nicola started her career in museums at the Harris Museum & Art Gallery in Preston as Collections Care Assistant whilst completing her MA in Art & Museum Management before moving to Leicestershire County Council to take up the role of Curator of Collections Care. Nicola is currently the Head of Museums & Galleries at the University of Liverpool, a role she took up in May 2017. She is responsible for managing the museums and galleries department, which includes two Accredited museums and collections linked to the different University departments. David co-founded the Marlborough Theatre in 2008 with a strong and immovable vision to use the historic building to its greatest potential and to artistically serve the LGBTQ+ and wider communities that use it. His work at The Marlborough has encompassed a wide range of projects from the groundbreaking national LGBTQ+ touring theatre project ‘New Queer of the Block’ to the heritage project ‘Queer in Brighton’. He specialises in work made for unusual contexts that challenges notions about how and where diverse led work can be presented. Sarah leads on fundraising, commercial, and digital initiatives at the People’s History Museum (PHM), the national museum of democracy, telling the story of its development in Britain: past, present, and future. Her role involves building relationships with partners and funders to drive change and build the organisation’s resilience and sustainability, helping the museum continue to provide opportunities for people of all ages to learn about, be inspired by, and get involved in ideas worth fighting for. Sarah has worked in the charity sector for over a decade, and in her spare time serves as a Trustee and volunteer at Manchester Action on Street Health (MASH). Having recently become Museum Manager at the Judges Lodgings in Lancaster after re-opening to the public after a two-year closure, Lynda has 17 years of experience in museums across the North of England in exhibition, collections and management roles. Since graduating from Birmingham and Newcastle Universities she has worked in a variety of roles at the People’s History Museum, Seven Stories (Centre for Children’s Books), the Museum of Liverpool, the Royal Armouries (Leeds) and the Museum of Wigan Life. Linda is an arts producer working primarily across theatre, spoken word, children’s shows, interdisciplinary and experimental/activist work, and library and community partnerships. She is currently Creative Programmes Manager at the Albany, an arts centre in South East London with a huge and diverse programme of events and participation opportunities each year, including award-winning and globally renowned artistic and community collaboration projects. Rebecca is a Philanthropy Manager at the Victoria and Albert Museum. Focusing on individual giving, she works in the team responsible for securing funds to support the V&A’s programme of capital projects, exhibitions, learning programmes and acquisitions. Prior to working at the V&A, Rebecca was Development Assistant at the Royal Institute of British Architects where she worked across the Patrons and Friends membership programmes. Snape Maltings is based on the Suffolk coast. Established by composer Benjamin Britten and tenor Peter Pears, Snape Maltings changes and enriches thousands of lives every year through music. Kat plays a vital role in building and nurturing relationships with supporters. She is also responsible for departmental communications, events and managing budgets. She has worked on a variety of successful fundraising campaigns and often undertakes project management work, most recently co-ordinating and developing an innovative new fundraising brochure. Sunderland Culture brings together the city’s most important cultural assets and activities. Joining at a pivotal time for the organisation and the city, Suzanne’s role is central to establishing a programme of cultural fundraising and philanthropy to support the delivery of a high quality creative and heritage offer. Suzanne has 16 years strategic and operational experience of fundraising and philanthropy. She has a strong track record of fundraising success, with over £8million of income secured in the last seven years. Suzanne has experience of capital and revenue fundraising in cultural, museum and HE sectors, with a specialism in trusts and foundations.